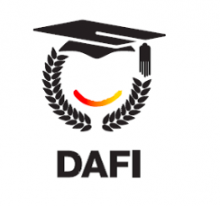 Since 1992, DAFI (Albert Einstein German Academic Refugee Programme) has provided scholarships to more than 6 000 deserving refugees worldwide to study at universities in their host country and, more recently, in their country of origin upon return. Financed by the German Government, DAFI provides an opportunity for refugees to pursue tertiary while outside their country of origin. DAFI provides access to education and skills for refugees, vital towards the reconstruction of conflict affected countries. Study courses, such as medicine or engineering, are exceptionally granted on a case-by-case basis and normally only to students who have demonstrated outstanding academic performance. Priority is given to refugees with specific needs, such as refugees with disabilities. Supporting documentation such as previous educational qualifications, a copy of valid refugee permit, letter of admission from a government institution must be attached to the DAFI application form. Qualified candidates who are not selected to join the DAFI programme are encouraged to take initiatives for identifying alternative sponsorships. The list of successful applicants for the 2018 bursary will be made available at the StudyTrust office, UNHCR offices, and at UNHCR partners’ offices (list attached). Due to the large number of applications, StudyTrust will not be able to inform all applicants who have not been selected. A monthly subsistence allowance covering basic expenses, such as food, local travel and rent during the semester. StudyTrust monitors DAFI students’ academic performances with the respective institution at least twice a year and takes appropriate action when required. Fraud, malpractices and dishonesty at examinations, or fraud on enrolment or receipt of multiple scholarships. Download the 2020 application form here. Since 2014, the DAFI scholarship programme is implemented through StudyTrust. It is the same DAFI scholarship programme implemented previously by UNHCR directly. NOTE: All applications should be delivered directly to StudyTrust, 10B Clamart Road, Richmond, Johannesburg. Closing date for submitting DAFI application is 31 October. StudyTrust is an educational trust and public benefit organisation, that connects learners with potential to their study opportunities. We administer bursaries and scholarships, provide mentoring and support to help tertiary students thrive academically and personally.